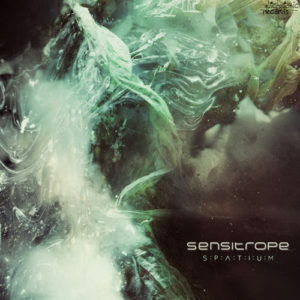 Spatium is the second installment from Swiss producer Sensitrope. This time around the focus is on the sound of room and the sound of spaces between spaces, about micro and macro. It’s about nothing less than the meaning of life and about the wonders of the world and all the jazz. The beauty is in the mixture of techno, rhythm, a little bit of that “dry” old school flavour, and finally topped off with a pinch of “Krumelurian spices”. It’s music to make you wiggle and giggle. Artwork done by Mercury Code. Mastered at Anti-Logic, Berlin. MP3 Download | FLAC Download | WAV Download · Download count: 7,389. Pretty Rad, i like the glitches. when i accidentally kicked the chair my computer was on it glitched out just right in the music and i thought it was my computer. Well done! On the second listen, I remembered again how much I like zenonesque. The name Sensitrope itself gives me glitches!